I remember the fallen today, their families, and what this did to our great nation. What a horrible day that was. I remember all too well how life changed in just one instance. 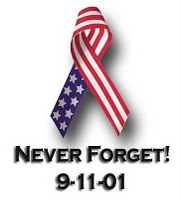 We'll NEVER forget! Yes, we all need to remember.